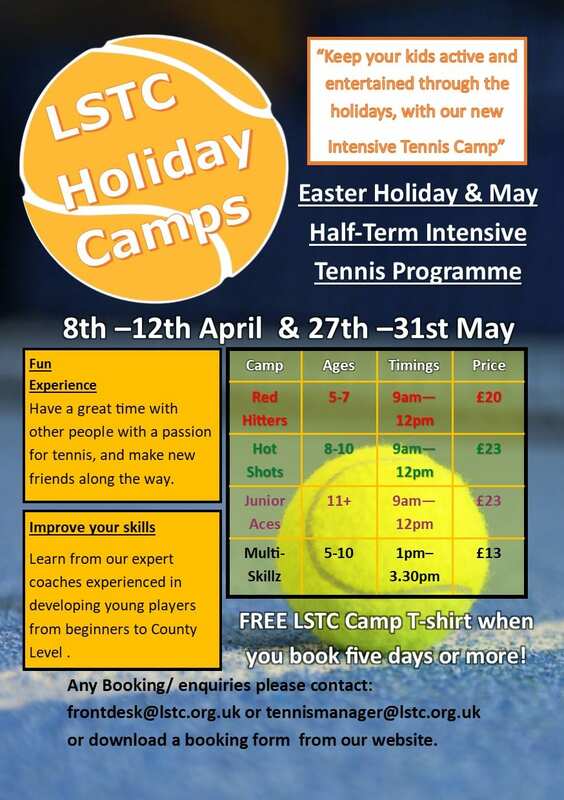 New look to holiday camp for LSTC. We are now running intensive tennis camps for all ages groups running from 9-12pm. This allows for camps to be split by age and ability by the discretion of coaches.